Can NRI/PIO acquire agricultural land/ plantation property / farm house in India? ✔ Are any documents required to be filed with the Reserve Bank after the purchase? ✔ Can a foreign national of non-Indian origin be a second holder to immovable property purchased by NRI / PIO? ✔ Can a foreign national of non-Indian origin resident outside India purchase immovable property in India? ✔ Can a foreign national who is a person resident in India purchase immovable property in India? Yes, a foreign national who is a 'person resident in India' within the meaning of Section 2(v) of FEMA, 1999 can purchase immovable property in India, but the person concerned would have to obtain the approvals and fulfil the requirements, if any, prescribed by other authorities, such as, the State Government concerned, etc. The onus to prove his/her residential status is on the individual as per the extant FEMA provisions, if required by any authority. 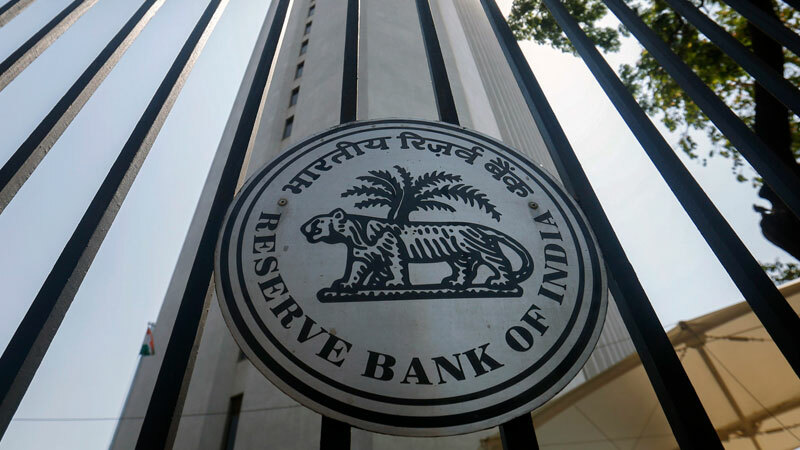 However, a foreign national resident in India who is a citizen of Pakistan, Bangladesh, Sri Lanka, Afghanistan, China, Iran, Nepal and Bhutan would require prior approval of the Reserve Bank. ✔ Can the branch / liaison office of a foreign company purchase immovable property in India? ✔ Can a NRI/PIO acquire immovable property in India by way of gift? Cana foreign national acquire immovable property in India by way of gift? ►	A foreign national of non-Indian origin resident outside India cannot acquire any immovable property in India by way of gift. Yes, a person resident outside India i.e. i) an NRI; ii) a PIO; and iii) a foreign national of non-Indian origin can inherit and hold immovable property in India from a person who was resident in India. ✔ Can a non-resident inherit immovable property in India? ✔ From whom can a non-resident person inherit immovable property? ✔ Can an NRI/ PIO/foreign national sell his residential / commercial property? ✔ Can a non-resident owning / holding an agricultural land / a plantation property / a farm house in India sell the said property? ●	NRI / PIO may sell agricultural land /plantation property/farm house to a person resident in India who is a citizen of India. ●	Foreign national of non-Indian origin resident outside India would need prior approval of the Reserve Bank to sell agricultural land/plantation property/ farm house in India. ✔ Can a non-resident gift his residential / commercial property? ●	A foreign national of non-Indian origin requires the prior approval of the Reserve Bank for gifting the residential / commercial property. ✔ Can an NRI / PIO / foreign national holding an agricultural land / a plantation property / a farm house in India, gift the same? ●	NRI / PIO can gift an agricultural land / a plantation property / a farm house in India only to a person resident in India who is a citizen of India. ● A foreign national of non-Indian origin would require the prior approval of the Reserve Bank to gift an agricultural land / a plantation property / a farm house in India. ✔ Can residential / commercial property be mortgaged by NRI/ PIO? ► a bank abroad, with the prior approval of the Reserve Bank. ► A foreign national of non-Indian origin can mortgage a residential / commercial property only with prior approval of the Reserve Bank. ► A foreign company which has established a Branch Office or other place of business in accordance with FERA/FEMA regulations has general permission to mortgage the property with an Authorised Dealer in India. ●	Mode of payment for purchase of immovable property in India. ✔ How can an NRI / PIO make payment for purchase of residential / commercial property in India? No payment can be made either by traveller's cheque or by foreign currency notes or by other mode except those specifically mentioned above. ✔ Is repatriation of application money for booking of flat / payment made to the builder by NRI/ PIO allowed when the flat or plot is not allotted or the booking / contract is cancelled? The Authorised Dealers can allow NRIs / PIOs to credit refund of application/ earnest money/ purchase consideration made by the house building agencies/ seller on account of non-allotment of flat/ plot/ cancellation of bookings/ deals for purchase of residential, commercial property, together with interest, if any, net of income tax payable thereon, to NRE/FCNR account, provided, the original payment was made out of NRE/FCNR account of the account holder or remittance from outside India through normal banking channels and the Authorised Dealer is satisfied about the genuineness of the transaction. ✔ Can NRI / PIO avail of loan from an authorised dealer for acquiring flat / house in India for his own residential use against the security of funds held in his NRE Fixed Deposit account / FCNR (B) account? How the loan can be repaid? ● by the borrower's close relatives, as defined in section 6 of the Companies Act, 1956, through their account in India by crediting the borrower's loan account. ✔ Can NRI / PIO, avail of housing loan in Rupees from an Authorised Dealer or a Housing Finance Institution in India approved by the National Housing Bank for purchase of residential accommodation or for the purpose of repairs / renovation / improvement of residential accommodation? How can such loan be repaid? Yes, NRI/PIO can avail of housing loan in Rupees from an Authorised Dealer or a Housing Finance Institution subject to certain terms and conditions laid down in Regulation 8 of Notification No. FEMA 4/2000-RB dated May 3, 2000 viz. Foreign Exchange Management (Borrowing and lending in rupees) Regulations, 2000, as amended from time to time. Authorised Dealers/ Housing Finance Institutions can also lend to the NRIs/ PIOs for the purpose of repairs/renovation/ improvement of residential accommodation owned by them in India. Such a loan can be repaid (a) by way of inward remittance through normal banking channel or (b) by debit to the NRE / FCNR (B) / NRO account of the NRI / PIO or (c) out of rental income from such property; or (d) by the borrower's close relatives, as defined in section 6 of the Companies Act, 1956, through their account in India by crediting the borrower's loan account. ✔ Can NRI/PIO avail of housing loan in Rupees from his employer in India? ● The lender shall ensure that the loan amount is not used for the purposes specified in sub-clauses (i) to (iv) of clause (1) and in clause (2) of Regulation 6 of Notification No.FEMA.4/2000-RB dated May 3, 2000. ● The loan agreement shall specify that the repayment of loan shall be by way of remittance from outside India or by debit to NRE/NRO/FCNR Account of the borrower and the lender shall not accept repayment by any other means. ✔ Can NRI / PIO repatriate outside India the sale proceeds of immovable property held in India? ► in the case of residential property, the repatriation of sale proceeds is restricted to not more than two such properties. ► For this purpose, repatriation outside India means the buying or drawing of foreign exchange from an authorised dealer in India and remitting it outside India through normal banking channels or crediting it to an account denominated in foreign currency or to an account in Indian currency maintained with an authorised dealer from which it can be converted in foreign currency. ● in case the property is acquired out of Rupee resources and/or the loan is repaid by close relatives in India (as defined in Section 6 of the Companies Act, 1956), the amount can be credited to the NRO account of the NRI/PIO. The amount of capital gains, if any, arising out of sale of the property can also be credited to the NRO account. NRI/PIO are also allowed by the Authorised Dealers to repatriate an amount up to USD 1 million per financial year out of the balance in the NRO account / sale proceeds of assets by way of purchase / the assets in India acquired by him by way of inheritance / legacy. This is subject to production of documentary evidence in support of acquisition, inheritance or legacy of assets by the remitter, and a tax clearance / no objection certificate from the Income Tax Authority for the remittance. Remittances exceeding US $ 1,000,000 (US Dollar One million only) in any financial year requires prior permission of the Reserve Bank. ● A person referred to in sub-section (5) of Section 6 of the Foreign Exchange Management Act 3, or his successor shall not, except with the prior permission of the Reserve Bank, repatriate outside India the sale proceeds of any immovable property referred to in that sub-section. ✔ Can an NRI/PIO repatriate the proceeds in case the sale proceeds were deposited in the NRO account? ✔ If a Rupee loan was taken by the NRI/ PIO from an Authorised Dealer or a Housing Finance Institution for purchase of residential property can the NRI / PIO repatriate the sale proceeds of such property? ✔ If the immovable property was acquired by way of gift by the NRI/PIO, can he repatriate abroad the funds from sale of such property? ✔ If the immovable property was received as inheritance by the NRI/PIO can he repatriate the sale proceeds? ✔ Can Foreign Embassies / Diplomats / Consulates General purchase / sell immovable property in India? ● The consideration for acquisition of immovable property in India is paid out of funds remitted from abroad through the normal banking channels. ✔ Can NRI / PIO rent out the residential / commercial property purchased out of foreign exchange / rupee funds? ✔ Can a person who had bought immovable property, when he was a resident, continue to hold such property even after becoming an NRI/PIO? In which account can the sale proceeds of such immovable property be credited? ✔ Can the sale proceeds of the immovable property referred to in Q.No. 29 be remitted abroad ? ✔ Can foreign nationals of non-Indian origin resident in India or outside India who had earlier acquired immovable property under FERA with specific approval of the Reserve Bank continue to hold the same? Can they transfer such property? Yes, they may continue to hold the immovable property under holding license obtained from the Reserve Bank. However, they can transfer the property only with the prior approval of the Reserve Bank. ✔ Is a resident in India governed by the provisions of the Foreign Exchange Management (Acquisition and transfer of immovable property in India) Regulations, 2000? A person resident in India who is a citizen of Pakistan or Bangladesh or Sri Lanka or Afghanistan or China or Iran or Nepal or Bhutan is governed by the provisions of Foreign Exchange Management (Acquisition and Transfer of Immovable Property in India) Regulations, 2000, as amended from time to time, i.e. she/he would require prior approval of the Reserve Bank for acquisition and transfer of immovable property in India even though she/he is resident in India. Such requests are considered by the Reserve Bank in consultation with the Government in India.